If your like me I welcome fall after a hot summer. Its a special time for me. I love the smell of leaves and taking walks thru the woods. Unfortunately this fall has been terrible. Never even got out to take any fall pictures. Such a bummer. So instead, on all those rainy days I decided to do a little fall sprucing up my home. 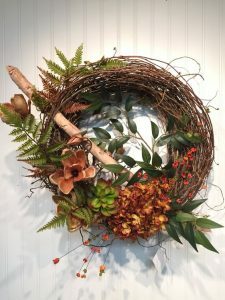 Mother Nature puts on quite a spectacular show at this time of year, and you can do the same by bringing the outdoors inside for some fresh, fall-inspired decor. Try these ideas to make your home look its best this season. If you love the flaming colors of autumn trees just before they drop their leaves, try preserving the ones you find by pressing them. Simply place the leaves between two layers of newspaper and cover them with heavy books for a week. 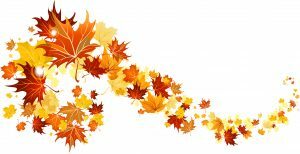 You can scatter your flattened leaves under a centerpiece on the dining table or use spray adhesive to mount them onto decorative paper before framing them for a more permanent display. There’s nothing as cute as a miniature pumpkin to add a little fall flair to your living space. Try making a centerpiece with a basket full of mixed gourds, or find five to seven that look alike and arrange them in a row on a shelf or table for a more minimal take on this natural décor. Pumpkin carving and decorating is a favorite pastime during this time of year. After you’ve carved an amazing design or face into a pumpkin or two, you want to show it off through your window or set it out on your porch for the neighbors to see. Without knowing the tricks to save your holiday pumpkins, they can turn slimy, moldy, and mushy in as little as three days. 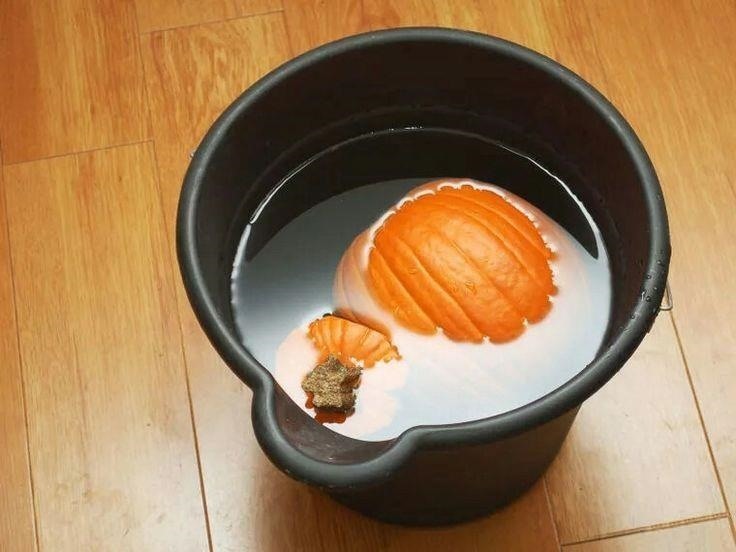 This is an easy and effective way to keep your carved pumpkins from molding for up to seven days. The sodium hypochlorite kills microorganisms that make pumpkins rot and dries out the pumpkin. Dunk in the pumpkin. Be sure to hold it down as it will try to float. The entire pumpkin should sit in the solution for two minutes. You might want to wear gloves, too. Remove from the solution and let the pumpkin air dry. Fall flower arrangements are particularly beautiful and often echo the colors you see on the trees: brilliant oranges, deep golds, and fiery reds. Provide an autumnal holder for your bouquets by crafting a rustic vase. Just cut burlap or unbleached muslin into wide strips and wrap them around a Mason jar, tying them in place with a bit of twine. You can also add lace ribbon and other embellishments to dress up your vases with a shabby-chic look. I have taken hydrangeas and spray painted them fall colors. If you don’t have any around you, you can always ask a neighbor for a couple off their bush. Other fall foliage you can use are tall grasses, cattails, dried berries, sumac and dried flowers along the road side. Just be careful what you bring inside if you have small children or animals. For a more permanent change to your overall decor, consider changing out white linens and accessories for ones in richer neutrals in shades of tan, khaki, golds and brown. In the bathroom, you might consider replacing your shower curtain, towels, and bath mat; fall place mats and napkins can add a warm cozy fell to your kitchen. Likewise, throw pillows and bed linens can also be changed to alter the look for the season. Pack away your summery items until the weather warms up in spring, and enjoy the deep comfort of the fall season with your new items. With a little creativity, you can transform your apartment into one that’s ready for fall. Happy decorating!